Every day, the RLS Foundation hears from men, women and parents of children dealing with RLS who need help finding a knowledgeable provider who understands their disease and can offer answers and alternatives if or when medications lose effectiveness. To help address these challenges, the RLS Foundation offers a network of certified RLS Quality Care Centers. Centers are staffed by leading RLS specialists who provide expert care and specialized disease management. Through education, sharing of best practices and quality improvement projects, the Quality Care Center Network aims to improve the quality of healthcare for all people living with RLS. Quality Care Centers are renowned for outstanding performance in the field. To achieve certification, Centers undergo review by the RLS Foundation Scientific and Medical Advisory Board and must demonstrate a high level of expertise and experience treating the disease. Looking to join the network? 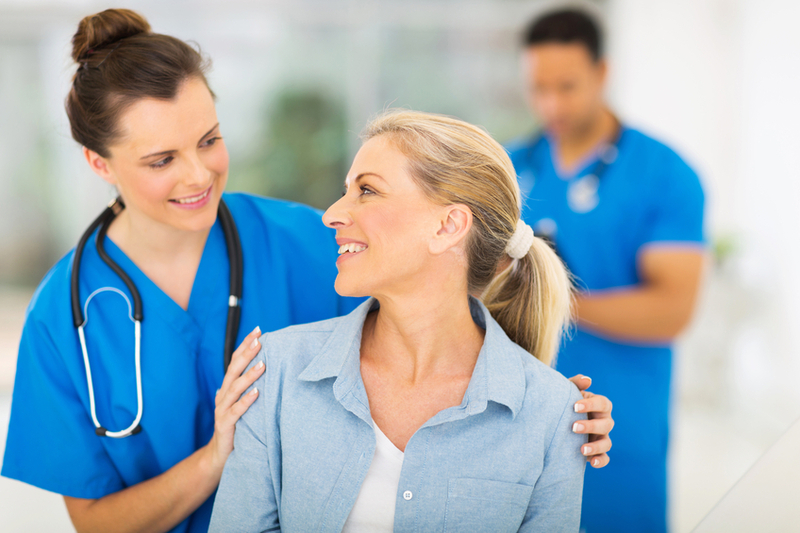 Here’s how to apply for Quality Care Center Certification. 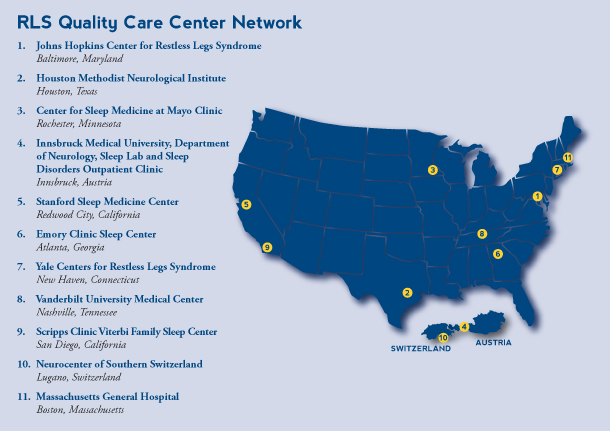 The RLS Foundation has certified eleven Quality Care Centers (QCC) in the United States, Austria and Switzerland. Your support is needed to promote effective treatment for everyone. You can help by making a gift designated for the Quality Care Program. Your pledge, in any amount, will be put to good work toward improving care for people living with RLS.